2010 November | Oh Shknit! I have started three sweaters/cardigans in the last few months. THREE. And they are all sitting there unfinished, with no plans on finishing. So today I am going to face reality and rip them all out. With the lack of time I have for knitting, I really have been sticking with smaller projects. 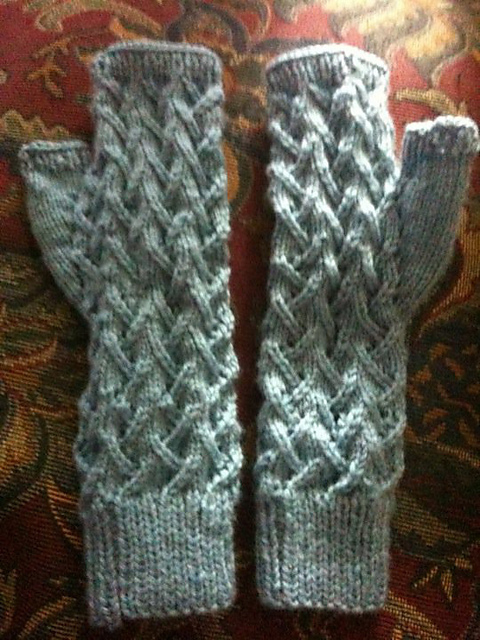 I made my mother a pair of armwarmers. 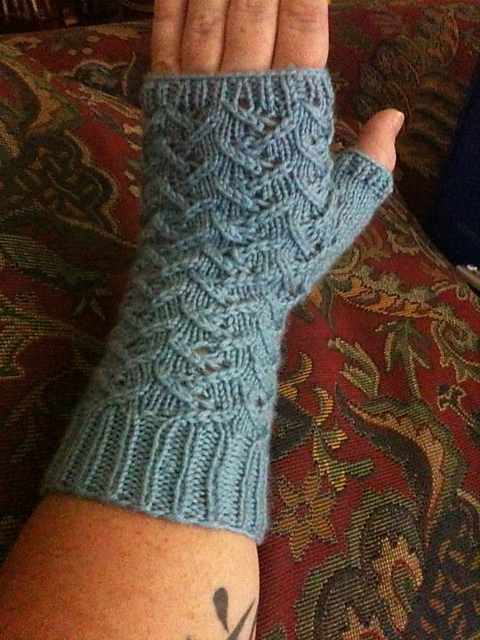 I am working on the 2nd of my sons armwarmers and should be done with them today. And I have been knitting little mittens for my mother’s little Christmas tree like CRAZY with bits of sock yarn, and crochet cotton. They are so easy and cute. 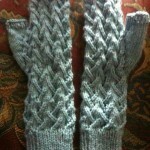 These are the Cafe au Lait armwarmers from Ravelry. 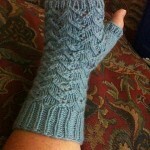 Great pattern, quick knit, and the FO was definitely appreciated by the recipient. There will be no more baby knitting. I just don’t have it in me to do it. I am am looking for a good sweater pattern to make one for my son…all the patterns that I like seem to use size 4-ish needles and I need something more like 7 or 8 US needles for the yarn I have in mind. I have been spending more time lately reading knitting blogs and looking at patterns on Ravelry and listening to knitting podcasts. Usually between those 3 things I get super-inspired, but it just isn’t happening these days. I just checked out the new Twist Collective and I am in LOVE. There are several sweaters I want to make. I am going to wait until the baby is born and I get rid of some of this weight. Not only do I just not want to knit ginormous sweaters, but the yarn can go a lot further if I just wait a bit and knit when I’m smaller. So not only health-wise is the whole losing weight thing a positive, but also it’s a bit easier on the pocketbook. I have just been so restless and frustrated lately with everything I seem to touch. So smaller projects that it doesn’t matter if they get ripped, if any projects at all. Hopefully this will pass when my life is a little less hectic. I know this is all in my head but I can’t seem to get rid of it. Time will hopefully help.